Ayushman Bharat or “Healthy India” is a national initiative launched by Prime Minister Narendra Modi as the part of National Health Policy 2017, in order to achieve the vision of Universal Health Coverage (UHC). This initiative has been designed on the lines as to meet SDG and its underlining commitment, which is “leave no one behind”. Ayushman Bharat is an attempt to move from sectoral and segmented approach of health service delivery to a comprehensive need-based health care service. Ayushman Bharat aims to undertake path breaking interventions to holistically address health (covering prevention, promotion and ambulatory care), at primary, secondary and tertiary level. Establishment of Health and Wellness Centres–The first component, pertains to creation of 1,50,000 Health and Wellness Centres which will bring health care closer to the homes of the people. These centres will provide Comprehensive Primary Health Care (CPHC), covering both maternal and child health services and non-communicable diseases, including free essential drugs and diagnostic services. 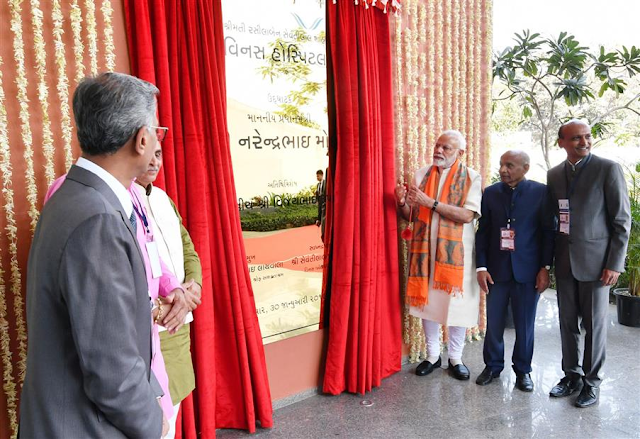 Pradhan Mantri Jan Arogya Yojana (PM-JAY) –PM-JAY is one significant step towards achievement of Universal Health Coverage (UHC) and Sustainable Development Goal - 3 (SDG3).It aims to provide health protection cover to poor and vulnerable families against financial risk arising out of catastrophic health episodes. To ensure that nobody is left out (especially girl child, women, children and elderly), there will be no cap on family size and age in the Mission. The scheme will be cashless & paperless at public hospitals and empaneled private hospitals. The beneficiaries will not be required to pay any charges for the hospitalization expenses. The benefit also includes pre and post-hospitalization expenses. The scheme is an entitlement based, the beneficiary is decided on the basis of family being figured in SECC database. When fully implemented, the PM-JAY will become the world’s largest government funded health protection mission. Enhanced used to of evidence-based health care and cost control for improved health outcomes.